New Orleans smoking ban: Now enforced. 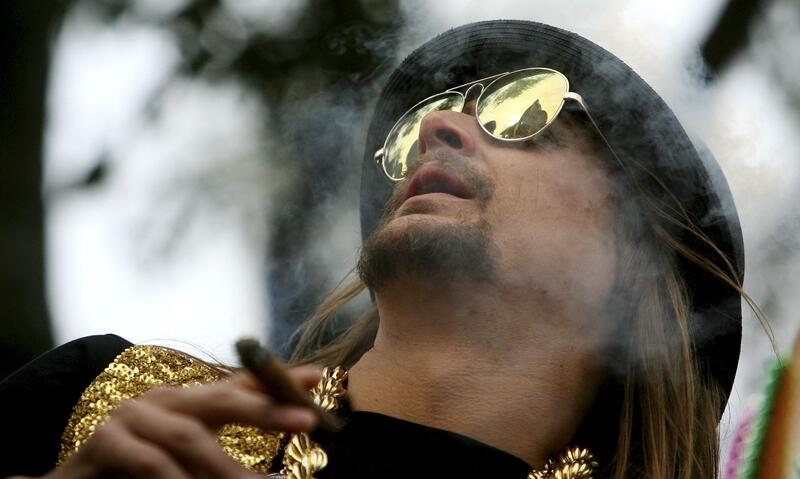 Outdoor smoking, like that in which Kid Rock is engaged above during a Mardi Gras celebration, is still permitted. The Times links to the website of a “nonsmokers’ rights” group, which has compiled a list of smoking laws in major United States travel destinations. Among the cities that don’t completely ban smoking in restraurants and bars are Atlanta, Las Vegas, Memphis, Philadelphia, St. Louis, and a number of municipalities in Florida.